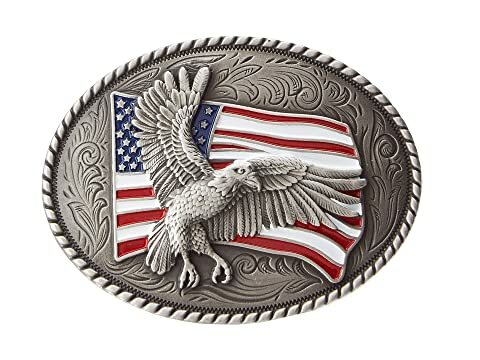 Your country pride will never be questioned with the patriotic style of the Eagle Flag Oval Buckle by M&F Western®. Silver-tone metal buckle embossed with an American eagle image and stars-and-stripes flag design. Makes a bold statement on both a men's belt.